Being a bit tired, today I didn’t feel like cooking. 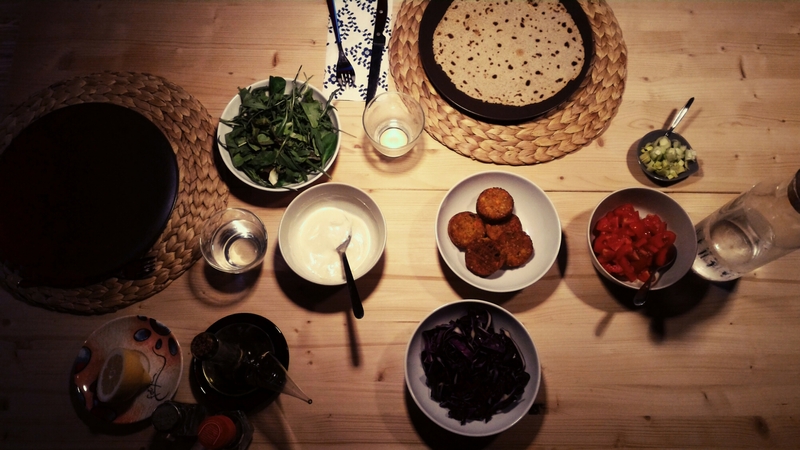 So I bought some pre-made falafel (it is possibile some very good ones by reading the ingredients), some soya yogurt and pita bread, then just cut some read cabbage, tomatoes, onion and spinach leaves. Season with EVO and lemon juice. Easy and fun.